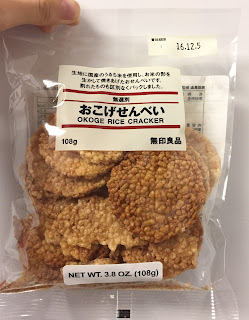 Okoge Rice Cracker is one of my favorite snacks from MUJI. 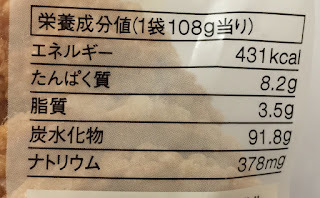 I happened to find it at a MUJI in New York and I bought a bag after so many years. 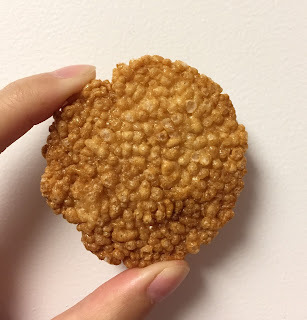 We used domestic Uruchi rice (non-glutinous rice), and we kept the shape of the rice and baked this rice cracker. We packed any rice crackers, even the broken pieces. 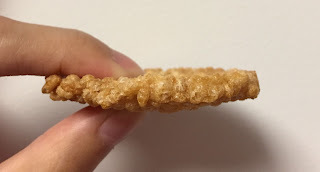 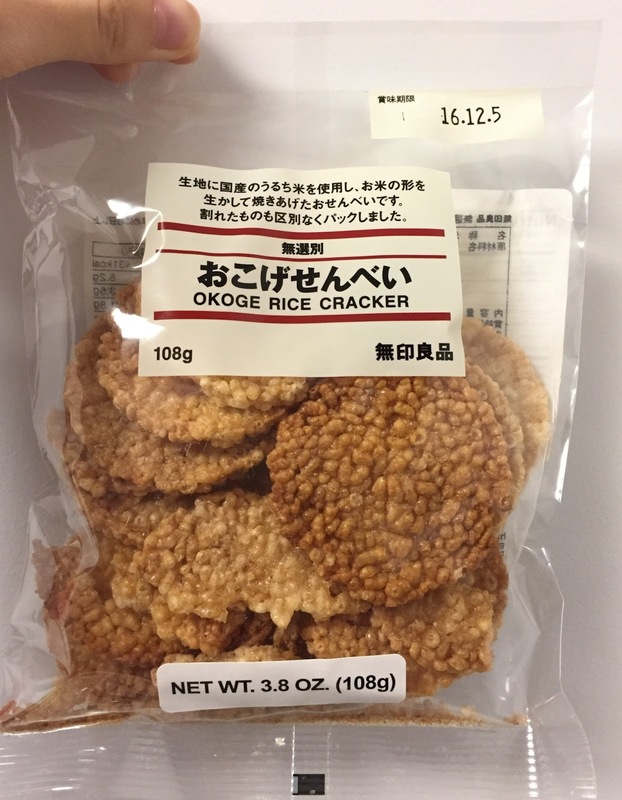 Okoge (おこげ) means burned or scorched, and this rice cracker has salty soy sauce flavor with fragrant, subtly burnt scent, but not bitter. 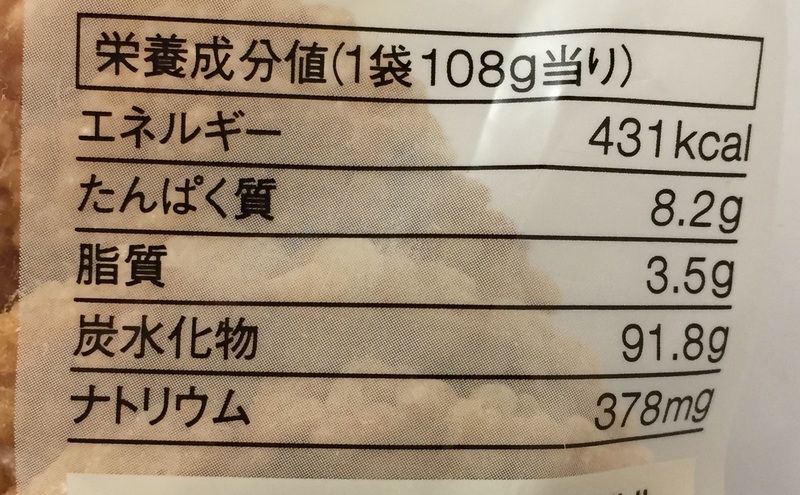 I could see rice overall. 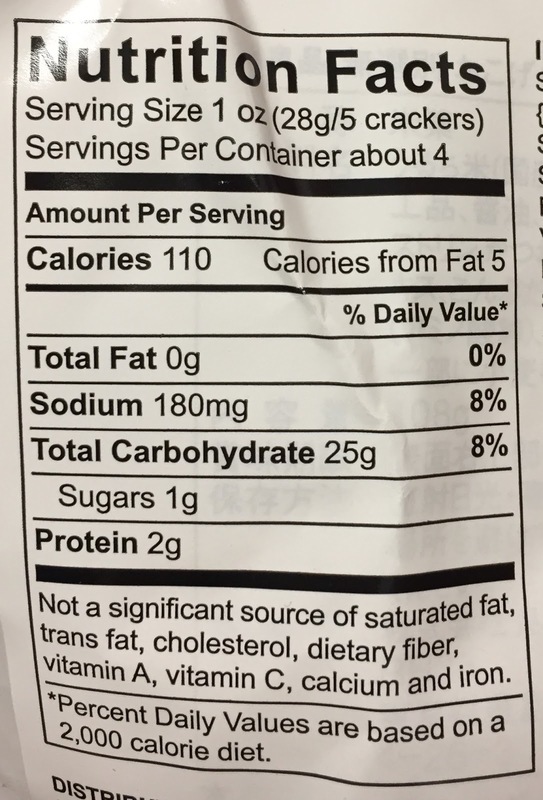 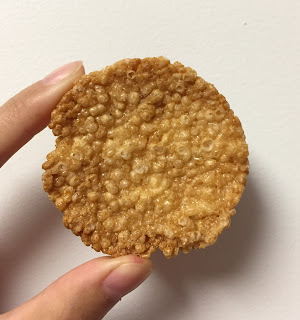 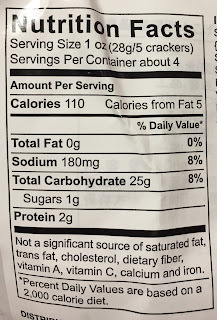 The rice was lightly popped and crunchy, and I like this medium hard rice cracker.